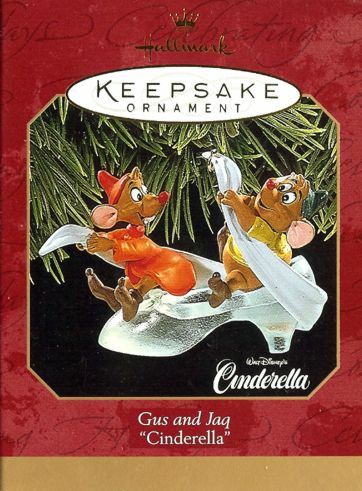 Gus and Jaq take great pride in polishing a glass slipper for their friend, Cindeella. It’s as if the two clever mice know that someday such a slipper might be used to identify the beautiful girl who wins the heart of Prince Charming. Gus and Jaq and two of the unforgettable characters in Walt Disney’s 1950 classic animated film, Cinderalla.